Posted on 11/07/2013 at 11:47 AM. Got the opportunity to buy this little cruiser. Thoughts? Reckon I can get it for a pretty good price. It's not going to be exclusively used on the harbour, nor is it just going to be used for fishing. I'm just a little worried the punt style hull might get absolutely smashed around on the harbour. 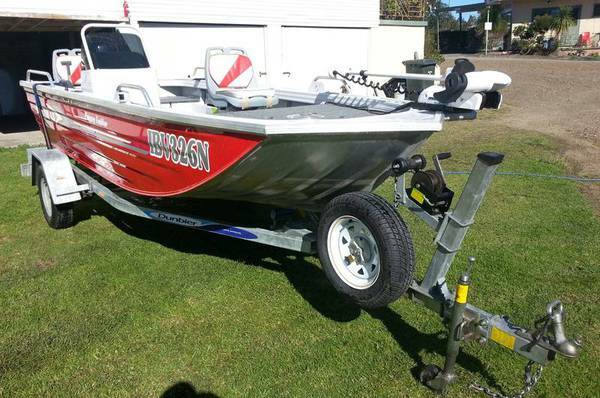 Could be that perfect boat to head up to Glenbawn or down to shoalhaven. Posted on 11/07/2013 at 10:02 PM. Kurtis, if you don't grab it I'd be keen to have a look at it. As an aside - what non-fishing uses do you have in mind? Posted on 12/07/2013 at 08:03 AM. I'll use it for my work, which is rowing coaching. I was really keen on a 435 Hornet, but it got gobbled up and now I can't find anything close to what it was. May have been "if it sounds to good to be true, it generally is". Anyway I am going to take it for a spin on the weekend. Posted on 19/07/2013 at 03:30 PM. Posted on 20/07/2013 at 11:39 AM. Bought the boat on Monday. 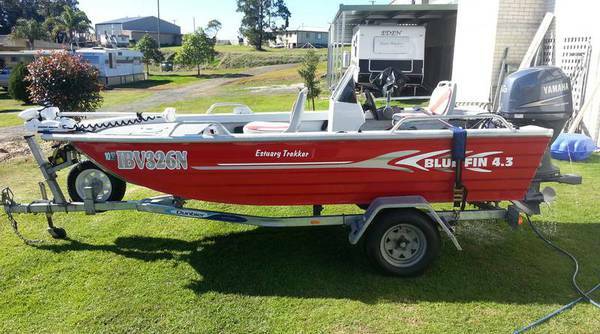 Will be perfect for work and will act as a great little getaway boat. Planning on smashing the bass this summer. Posted on 21/07/2013 at 11:03 AM.